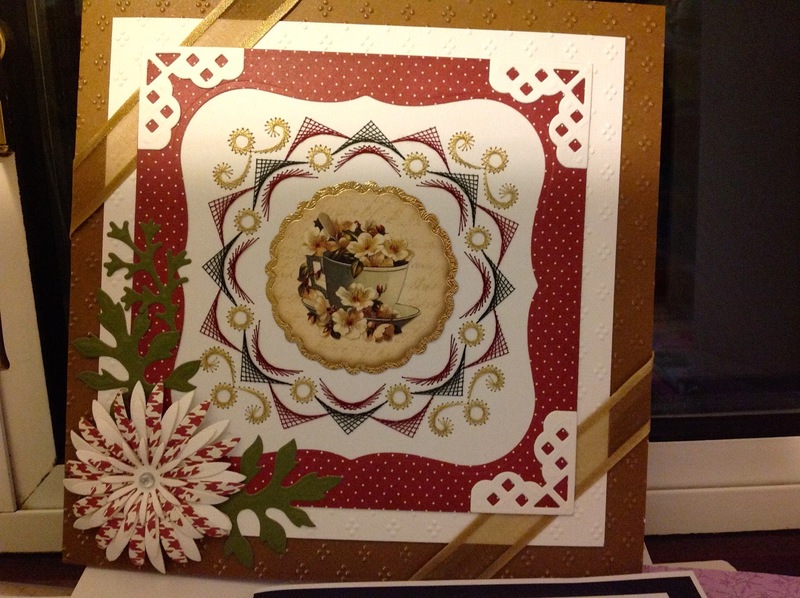 I started this 8"x 8"card by choosing the circular topper (Hunkydory, Vintage Blossoms), I then picked out the colour of the topper to stitch the pattern (Hobbydols 95) around the topper. 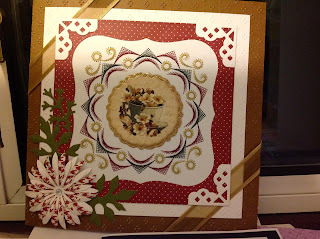 then I cut a frame using Spellbinders - Grand Labels one. Spellbinders - M-Bossabilities A4 size folder (Dainty Dots). The flower and leaves:- I used a spellbinders die (Delicate Asters) these flowers are lovely and so easy to put together once you have cut them out, I think I will be using these dies quite a lot. The corners are Spellbinders (Lattice Accents). Tomorrow I will show a couple of male cards, which will be a sport design. Thank you for looking in, please feel free to leave a comment or a suggestion if you think I could have done something different with the card.